The International Tournée of Animation started a trend in the mid 1960s. It collected adventurous animated shorts into a feature-length collection that screened at museums and colleges. By the late 1970s cinemas were added and soon packages appeared including Animation Celebration, Mike & Spike’s various touring shows, Outrageous Animation and others. Audiences and the film industry discovered John Lasseter, Mike Judge, Matt Groening, Don Hertzfeld, Tim Burton, Phil Tippett, Bill Plympton, and many more. Several of these shows successfully played to enthusiastic packed auditoriums each year. But as the organizers moved on to other things there was a gap. In 2003 Hertzfeldt and Judge created The Animation Show providing a biennial showcase but the pressures of screening hundreds of works, selecting an exciting show, negotiating the deals, pulling together the elements into a package, booking the venues, promoting the showings, collecting film rental and paying the filmmakers proved to be the same burden that challenged their predecessors and after three collections, the two animators needed to get back to their own creative work. But what about the many other stunning works being created that don’t make the group of five nominations? 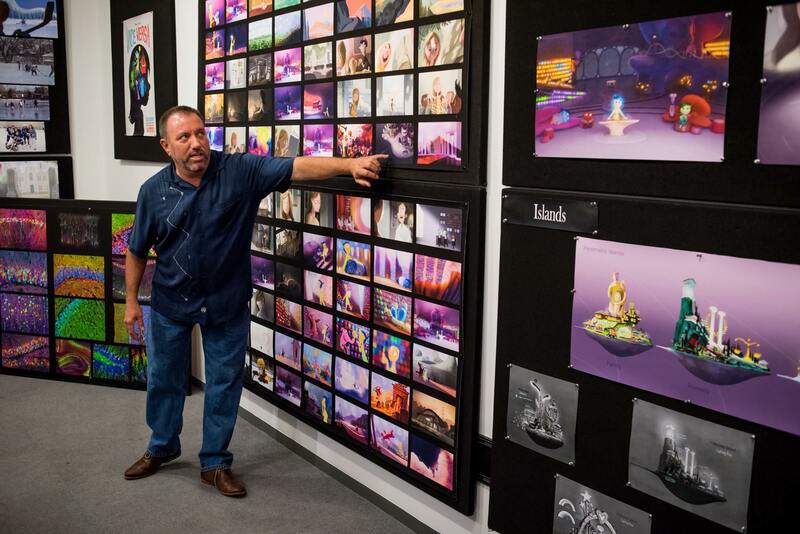 Animation producer Ron Diamond has been keeping on top of the international animation scene since he founded Acme Filmworks, Inc. In 1988 he started to assemble a selection he called The Animation Show of Shows that was taken to animation studios, advertising agencies and others interested in hiring animators. These “industry only” screenings became legendary and for the 17th anniversary, Ron has decided to bring this year’s show to the general public. EatDrinkFilms asked two animation experts to review the show for you. Ralph Eggleston (Inside Out, Wall-E) and Robert Bloomberg (Animation Pie) share their thoughts below. The Animation Show of Shows is starting its tour across the U.S. opening at the Vogue Theatre in San Francisco Friday, October 9 followed by the Gene Siskel Film Center, Chicago, Melwood, Pittsburg on October 16; The Elmwood, Berkeley, AFI Silver Theatre, Silver Spring, MD on October 23; the Lark in Larkspur and Cinema Egyptian, Seattle on October 30. For a complete list check here. 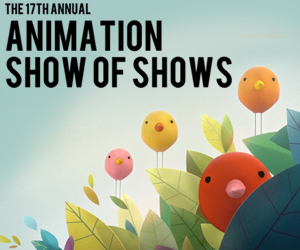 For more information and to find out how to purchase past shorts selections go to The Animation Show of Shows. Three shorts from past shows can be seen at Eat My Shorts. Cosmonauts, tall female basketball players, stilt walking dreamers, Brahms’ Hungarian Dance No. 5, mountain climbers and the Outernet. Your usual collection of elements for a movie? Not a likely film pitch for a studio. But we are talking about the Animation Show of Shows and that is a small sampling of what you can expect in stories told via a wide range of striking animation techniques. To most people the word “animation” conjures up the films of Disney and Pixar, or television series such as The Simpsons or South Park. And getting adults to go see an animated film—let along a collection of eleven of them—is often a chore (unless they’re being dragged to the theater by their kids). For years animation has been relegated to the cinematic “kiddies’ table,” seldom receiving the recognition it deserves. This has begun to change in recent years, thanks to quality films from major studios and programs such as the Animation Show of Shows. My love of animation began in the late 1950s in front of our family’s black-and-white tv, watching Rocky & His Friends, the anarchistic cartoon variety show from Jay Ward Studios. 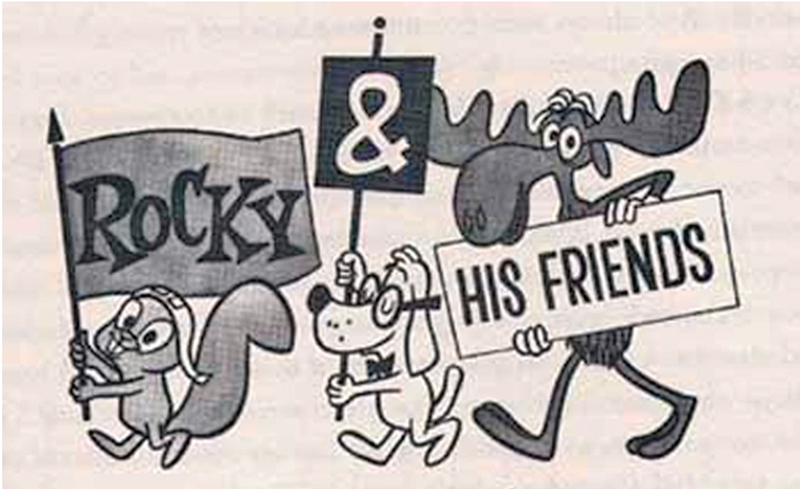 The show featured the serialized adventures of Rocky the Flying Squirrel (aka “Rocket J. Squirrel”) and Bullwinkle J. Moose. The series (later renamed The Rocky & Bullwinkle Show) was crudely drawn and animated, even by the standards of the day, but it was cleverly written, with topical satire and wonderfully horrible puns. It appealed to adults as much as to kids. 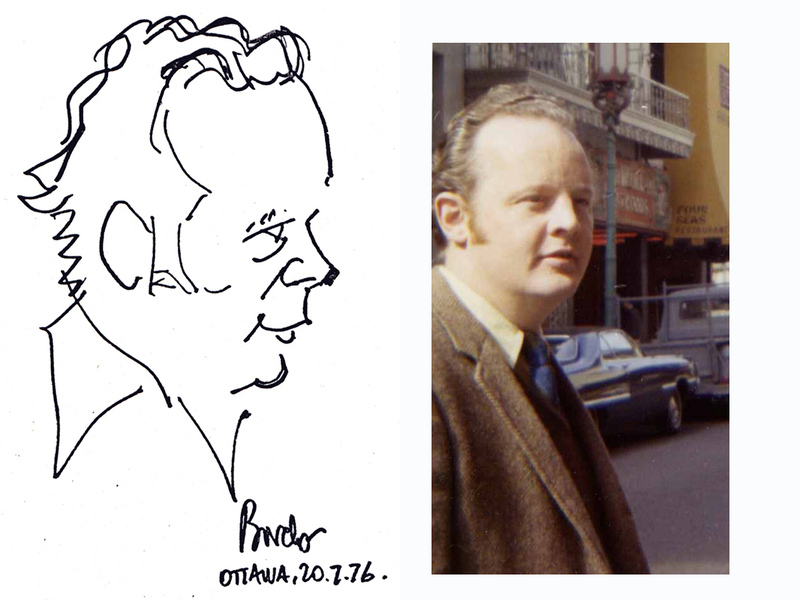 A caricature of Prescott Wright by Zagreb animator Borivoj Dovnikovi; Wright in 1971. 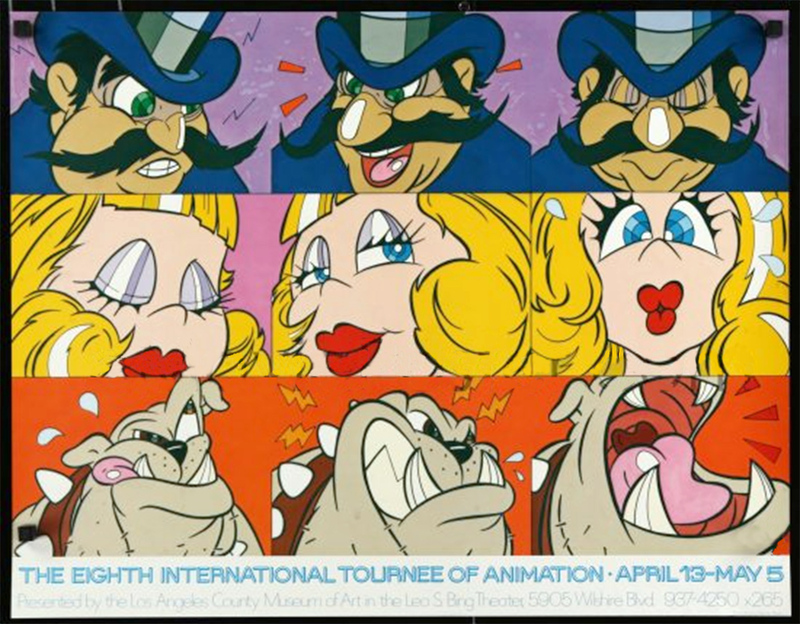 The International Tournée of Animation, as it came to be called, was shown in art theaters, museums, and on college campuses across the country from 1970 through the late 1980s. It gave the public a rare chance to see some of the best animation from around the world, films seldom seen outside of animation festivals. I was astounded by the artistry and scope of these films, and the way in which they could pack so much emotion and so many thought-provoking ideas into their brief running times. Since 1999, Acme Filmworks founder, Ron Diamond (who did post-production on Tournees 19-22) has been carrying on this admirable tradition through his Animation Show of Shows that he screened for people in the industry. This year’s program is a wonderfully diverse collection exploring a variety of universal themes. As a bonus there are live-action mini-documentaries following four of the shorts. The animation styles range from the deceptively simple line drawings of World of Tomorrow which explores the anything-but-simple concept of time travel and immortality, to the hyper-realism of Ascension, a Sisyphean tale of two climbers attempting to carry a statue of the Virgin Mary to the top of a mountain, which manages to combine the tension of a thriller with the goofiness of slapstick. Lynn Tomlinson’s Ballad of Holland Island House uses animated clay paintings set to a traditional-sounding fiddle tune (with lyrics by Tomlinson) to tell the true story of the last house on a sinking island in Maryland’s Chesapeake Bay. The liquidity of the animation perfectly matches this tale of the house’s journey, from tree, to timber, to home, to its ultimate return to nature. Several of the films explore the theme of being an outsider. 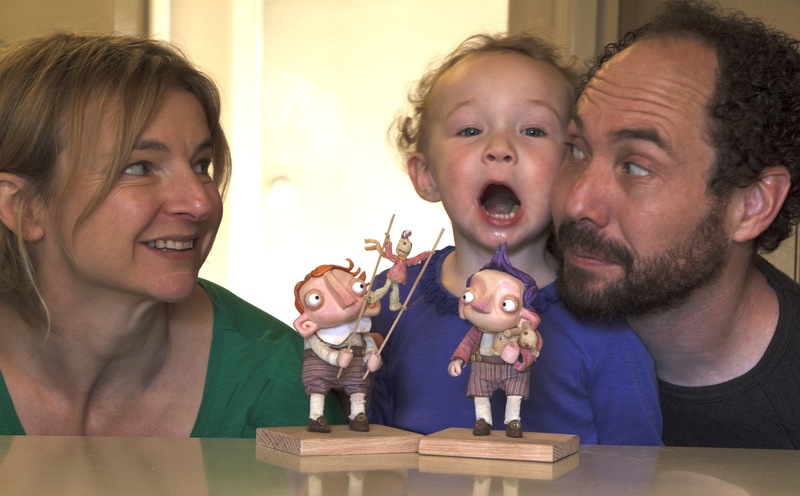 Janette Goodey and John Lewis’s The Story of Percival Pilts is a whimsical Seussean poem using stop-motion animation to tell the fable of an impractical life based on a childhood promise. 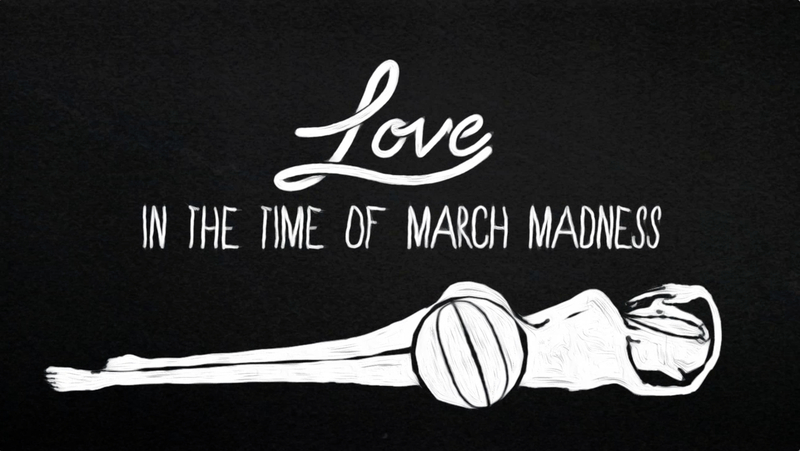 Melissa Johnson’s Love in the Time of March Madness is her recollection of the awkwardness that came from growing to 6’ 4” by the 8th grade. Conor Whelan’s ethereal Snowfall, the first LGBT short to be included in the Animation Show of Shows, is a poignant portrait of a young man’s romantic misconnection at a party. 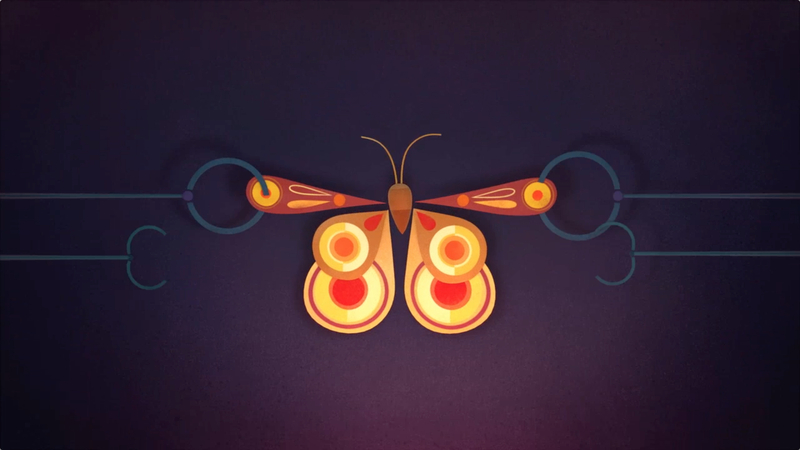 Whelan’s film, like others in the program, illustrates this unique quality of animation: the ability to distill an intense emotional state using only lines, shapes, and sounds, like the visual equivalent of a poem. There is a moment in Snowfall when the anxious man first approaches the door to the party and a part of his being attempts a quick getaway. There are no spoken words, just an animated abstract shape taking flight that he quickly captures and puts back in place. It is a magical moment that conveys that universal feeling of anxiety and fear we all feel at some time in our lives. Stripy, written and directed by Iranian brothers Babak and Behnoud Nekooei, is a cautionary tale of conformity and the co-opting of art, precisely synced to Brahms’ “Hungarian Dances-No.5.” This technique of marrying music and animation harkens back to Walt Disney’s 1928 Steamboat Willie and illustrates the importance and power of sound design in creating the reality of a film. All the shorts in the Animation Show of Shows brilliantly make use of music and sound effects to create their individual worlds. 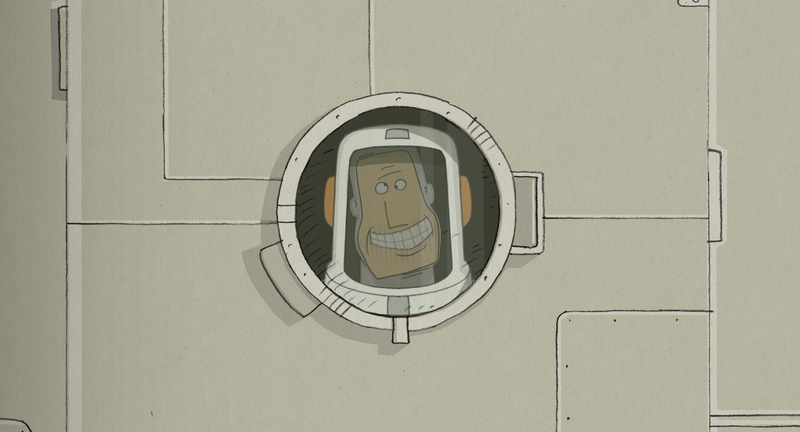 Konstantin Bronzit’s We Can’t Live Without Cosmos uses only music, sound effects and a deceptively simple visual design to tell its tale of two inseparable astronauts with a common dream. It is beautifully edited and needs no dialog to convey its powerful themes of friendship and loss. 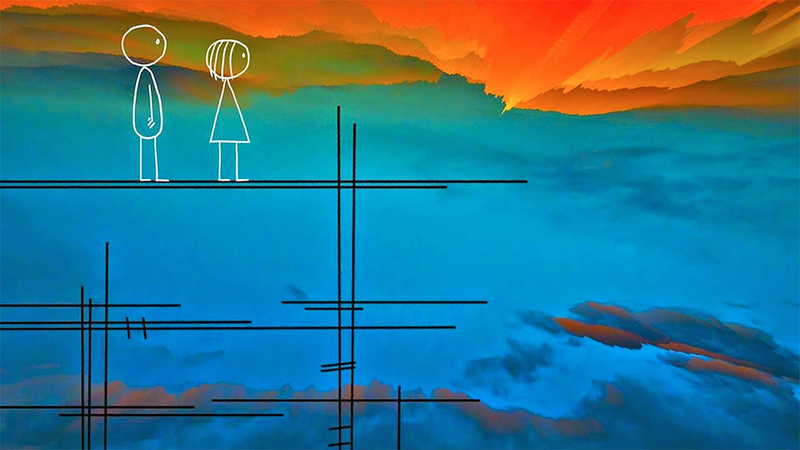 The most impressive film in the show is Don Hertzfeld’s 17-minute sci-fi journey, World of Tomorrow, which deservedly earned him his 2nd Short Film Grand Jury Prize at this year’s Sundance Film Festival. It’s the story of 4-year old Emily Prime (voiced by the filmmaker’s 4-year old niece) who is visited by a fourth-generation clone of herself from the distant future. The clone has returned to give Emily Prime a time-travel tour of the future. The first animated film I recall that used actual recordings of children was John and Faith Hubley’s brilliant 1959 short, Moonbird, which, like World of Tomorrow utilized abstract, childlike visuals to mirror the narration. Hertzfeld takes this technique to even loftier heights with a blend of philosophy, sci-fi, humor and pathos, unmatched in most full-length feature films. Kudos to Ron Diamond for bringing together yet another fine collection. This 17th “Animation Shows of Shows” should be on every animation fan’s “must-see” list. Thank goodness for Ron Diamond, Acme Filmworks, Animation World Network and the Animation Show of Shows! This is the 17th year of the traveling festival, and I’m happy to know it will finally get a theatrical release. Films like the ones presented this year deserve a wider audience—one that is there—via the internet and special screenings, but this year more fans of animation will get a chance to come together and celebrate the film making and artistic achievements the artists have to share in cinemas across the country. I’m a big fan of filmmaking and animation. Luckily I have seen most of the Animation Show of Shows! The folks at Pixar, where I work, are lucky to be among one of the regular stops on Ron’s tour to promote the films and artists, and I’ve been lucky enough to share time with him and those artists on multiple occasions. What an inspiration it is to meet with them in person and share our enthusiasm for short animated films! This year the film selection is particularly inspiring. The films are all highly personal, and the show includes several short documentary interludes about the filmmakers, their influences, and their processes. The individual styles of the artists from filmmaking, storytelling, and aesthetic points of view are widely varied—each with a very strong point of view. How Ron finds these miniature wonders is a tribute to his dogged love of the medium and the artists who produce them. 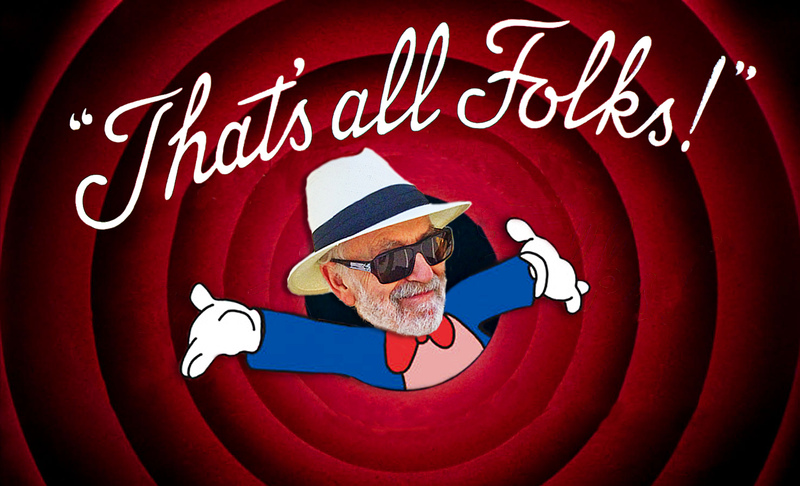 And for that, the animation community owes him a debt of gratitude! The show as a whole is an enjoyable affair, each film offering terrific stories and characters that help illuminate the filmmaker’s intent. The Story of Percival Pitts, a film written and directed by Janette Goodey & John Lewis. A poem set to animation about a stilt-walking dreamer who inspires those around him to reach for the sky, even at their own peril. 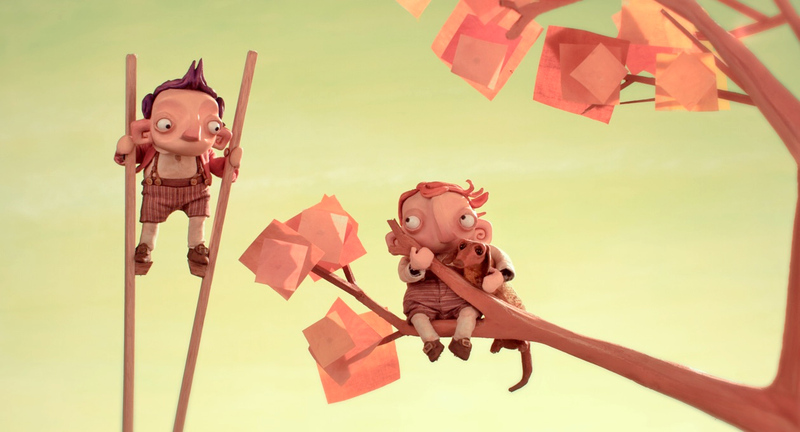 Beautifully realized through stop motion puppetry. The lighting is amazing. Remarkably hypnotic film created by clay painting. The poem, set to music, tells the tale of the life of a house on a lonely island, and it’s inhabitants over the years as it is reclaimed by nature. See this on the biggest screen you can for its full impact! Beautifully rendered tale, deeply personal story of unrequited love between a gay man and a straight man. Shifting aspect ratios help define the characters changing moods through the short. The melancholy ending is left to the audience imagination— with a slight bounce up at the end. 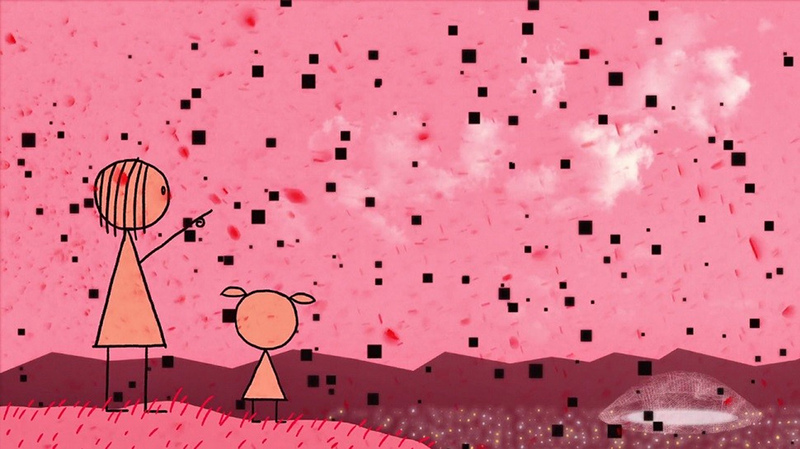 Animated to a “found voice” recording of a conversation between the filmmaker and her half asleep husband, the dream-like quality of the scratchy animation is a perfect compliment to the wandering dream-like story. 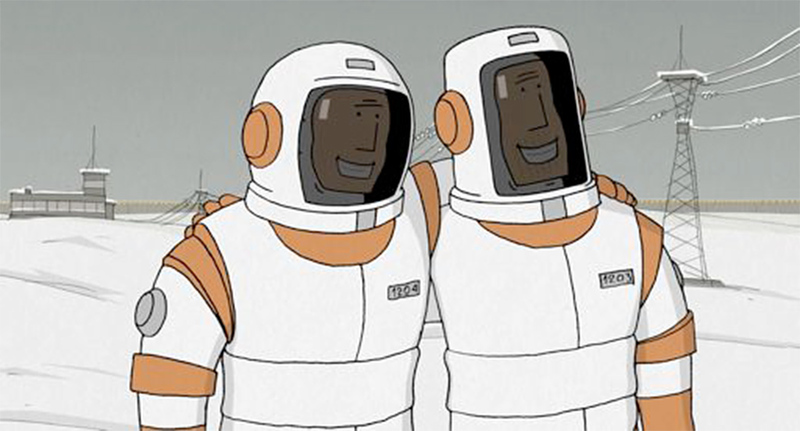 Story of a life long friendship between two aspiring cosmonauts. We follow them through the difficult training process until they are chosen to pilot a ship into space. A very emotional short about the enduring nature of relationships and the mutual love of something in common. Quietly humorous film about the relationship between a man and a woman and their pets. 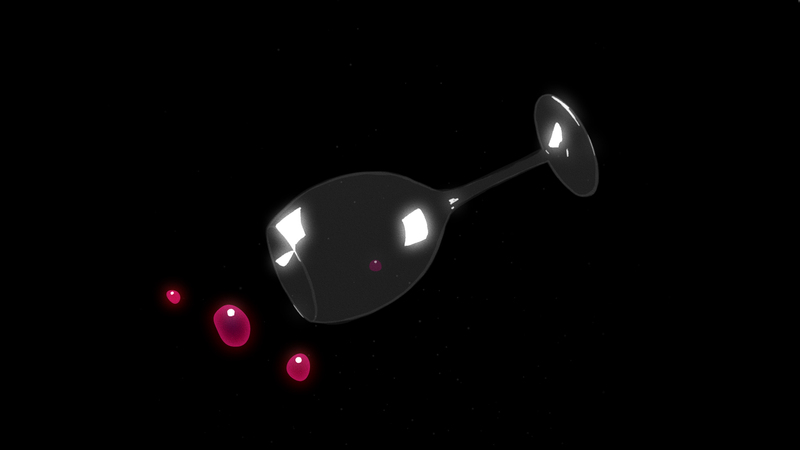 The cutout animation, simple staging, and long takes allow the humor to build to an unexpected conclusion. Inspired by the illustrations of Charley Harper, this short explores the irony of so many newspaper articles about deforestation—printed on paper derived from the destruction of trees. Wonderfully designed short about a worker’s colorful imagination breaking the monotony of his factory job. Set to Brahms’ Hungarian Dance No. 5. Mix of hand drawn and cg about the difficulty of a tall girl who excels at basketball to find true love. Deeply personal short, wonderfully illustrated. 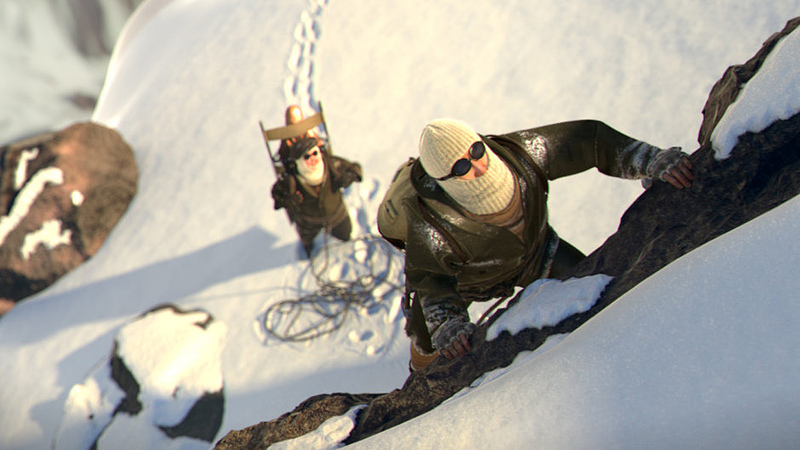 Story of mountain climbers struggling to put a statue at the peak of a snowy mountaintop. Fully pantomimed cg short, with beautifully designed vistas, textures, and lighting. Rich, thoughtful story about a little girl traveling to the “outernet” to visit her digitally cloned self far into the future. The experience of watching this particular short renders describing it through writing moot. 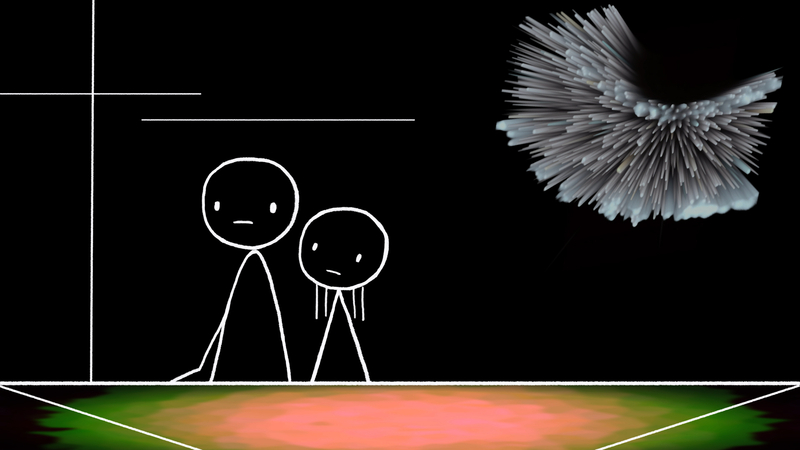 Don’t miss it–one of Don Hertzfeldt’s best shorts. Individually, the shorts are highly personal and individualistic. But as a curated collection, they are presented in such a way as to compliment each other and flow from one into another in a natural way. The documentary segments are well produced, and present a constant reminder of the artists behind these films. And ending the show with World of Tomorrow provides the sort of lift every festival of this sort hopes for. 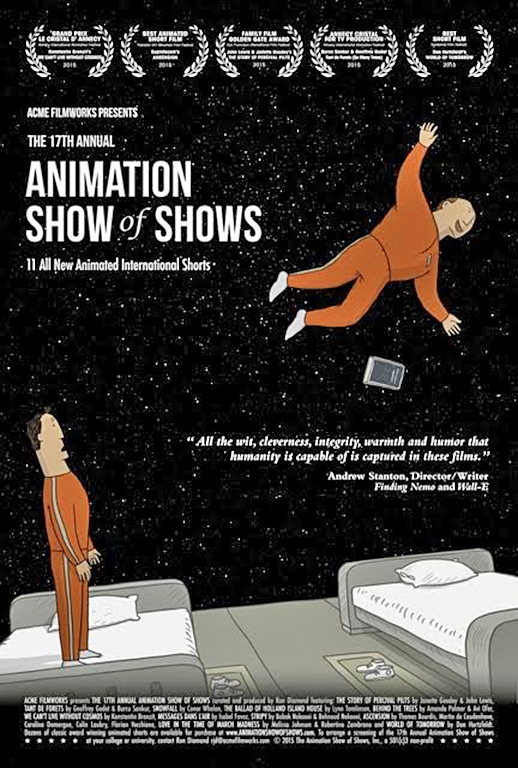 Within the span of an hour and a half, the 17th Annual Animation Show of Shows presents a solid cross section of some of the finest independent animation being produced today. Ralph Eggleston was born October 18, 1965 in Baton Rouge, Louisiana, and went to school at the California Institute of Arts. Eggleston worked at Warner Brothers and Amblin/Universal TV and was a principal animator of Brad Bird and Tim Burton’s Family Dog. He worked in various artist capacities on Garfield shows, The Simpsons and FernGully: The Last Rainforest. Ralph joined Pixar in 1992 during the development of Toy Story. He became Art Director on that film, The Incredibles and Up; Production Designer on Finding Nemo, Wall-E; plus writing the original story and creating visual development for Monsters, Inc. He also wrote and directed the Oscar-winning short film For the Birds. As Production Designer on this year’s Inside Out he lead the direction of that film’s unique look. 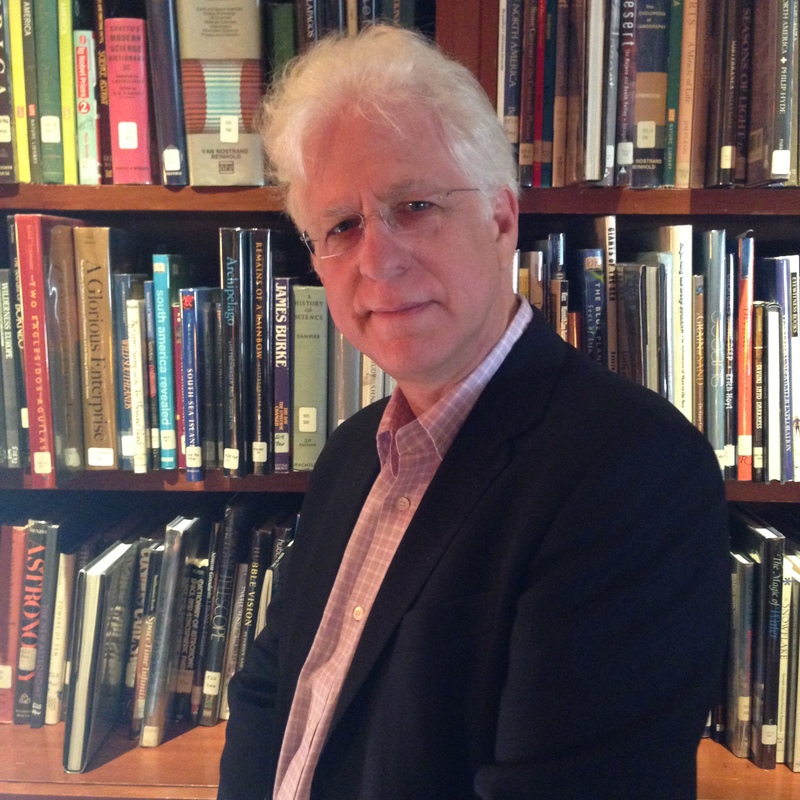 His work is celebrated in the Art of Pixar and The Art of Inside Out books. Ralph grew up loving films, especially animated and fantasy films. He was a big fan of Ray Harryhausen, Peter and Harrison Ellenshaw, Terry Gilliam, Warner Brothers cartoons, old horror movies and Disney features. He says that his influences include directors Billy Wilder, William Wyler, Francis Ford Coppola, Guillermo del Toro, and Martin Scorsese plus production designers such as Anton Grot, William Cameron Menzies, Thomas Codrick, Mary Blair, Richard Sylbert and Dean Tavoularis. Ralph discusses Disney animation art director Mary Blair with Bill Kinder in EatDrinkFilms. Ralph Eggleston talks about Inside Out here and here. This entry was posted in Films: Animation, Films: Festivals, Films: Shorts and tagged animation, International Tournee du Animation, Robert Bloomberg, The Animation Your Show of Shows. Bookmark the permalink. ← Critics Corner: National Lampoon.